Some days you just want to dress like a 7-year-old, so that's what I did. 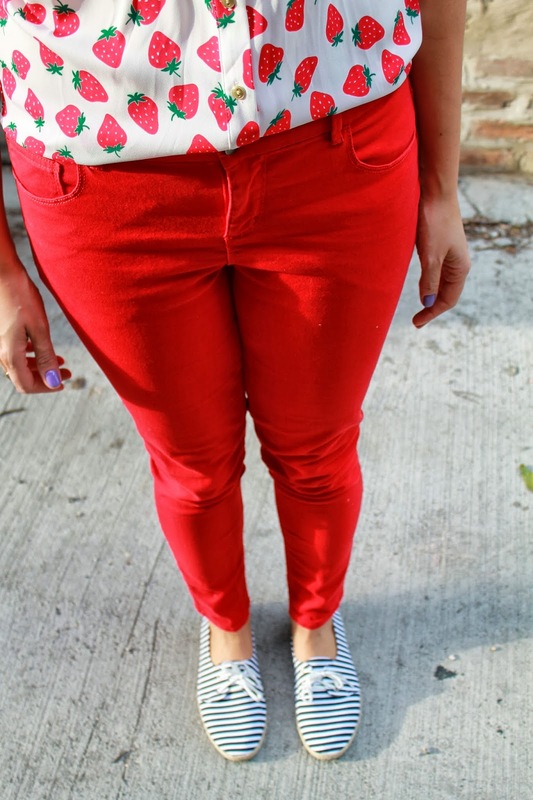 The strawberries on top and stripes on the bottom seemed to compliment each other well. Naturally I couldn't wear this to work or I might get mistaken for one of my students, so I saved it for a casual weekend trip to the Fashion Outlets of Chicago (yes, I went again). What's your favorite way to get away with wearing juvenile trends? Share in the comments! Check below for some other kid-inspired looks that work for grown-ups too! Nails: OPI "Do you Lilac It"
How great is that camo tee?? Bought it! Love it! !